The wait is finally over: the full-length trailer for Marvel’s Ant-Man, which stars Paul Rudd, is here. 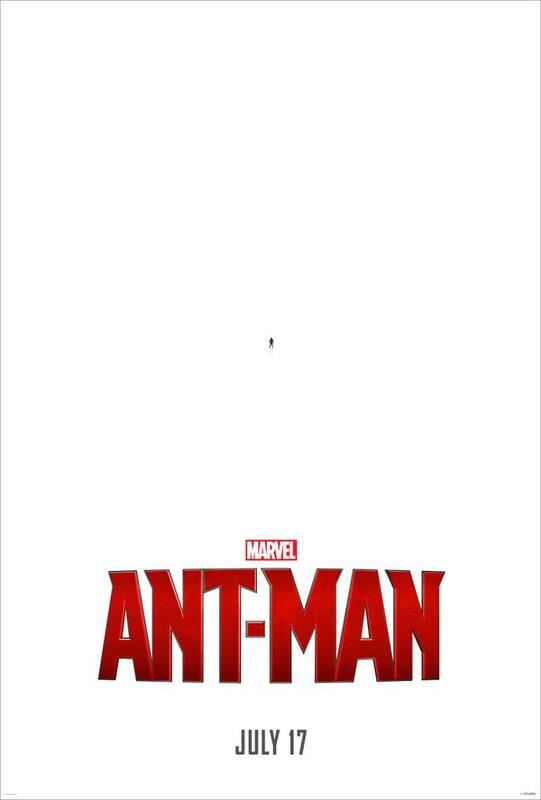 In anticipation of the reveal during last night’s premiere of ABC’s Agent Carter, the studio released a teaser poster featuring a pint-sized Rudd as Ant-Man, so small that many people have been “squinting” to get a better look at Marvel’s newest hero, featuring only the logo and release date underneath the image. More recently, Marvel also released a seventeen-second-teaser trailer, giving the first “real” sized look at Ant-Man to prepare audiences for the official trailer. The clip starting out with the phrase “this Tuesday” and a succession of film snippets featuring Rudd and Michael Douglas (Pym) and boasting that “something big is coming” across the screen; ironic since Ant-Man is known for his shrinking abilities. 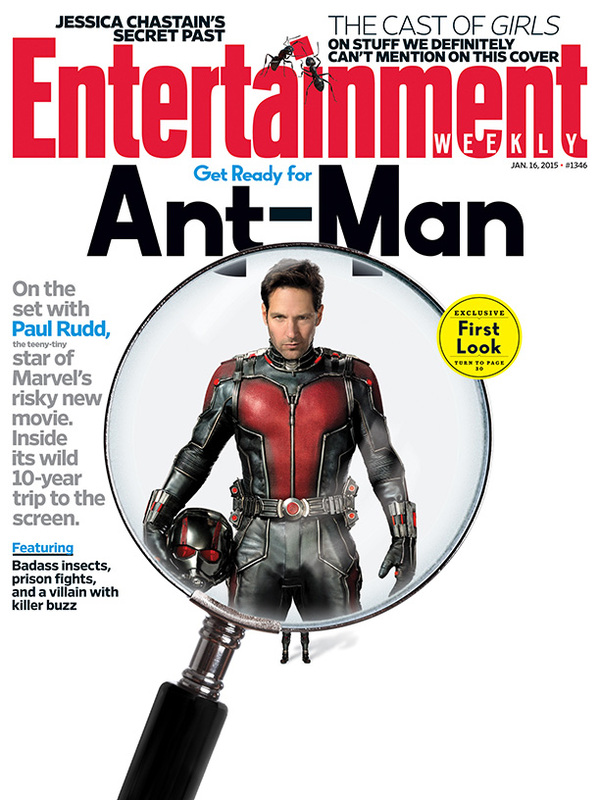 Rudd was also featured on the cover of this week’s Entertainment Weekly, giving readers a first look at the actor in his superhero costume as Scott Lang. The image is cleverly positioned underneath a magnifying glass, once again playing off of the hero’s shrinking abilities. It’s unlikely that this will be the last of the tiny-size jokes we will be seeing from Marvel’s marketing team. The full trailer itself shows Scott Lang and his mentor Dr. Hank Pym together, most notably in a clip from a scene in which Pym asks Lang to take on the role of Ant-Man, saying, “It’s not about saving our world, it’s about saving theirs,” in reference to Lang’s daughter. As expected, there are lots of action scenes, and a clip of Ant-Man flying away from a conflict on an actual ant. There is also a comical spin at the end of the clip, with Scott Lang asking if it’s “too late to change the name” of his new hero identity. The film is set to hit theaters July 17th, 2015.